With their K70 LUX RGB, Corsair has a high-end keyboard in its portfolio, which can be ordered with all the different types of Cherry MX RGB switches. Therefore there is going to be a good looking backlight in combination with the typical typing feel the mechnical Cherry switches are so well-known for. Today we are going to have a close look at the K70 LUX RGB keyboard coming from Corsair. 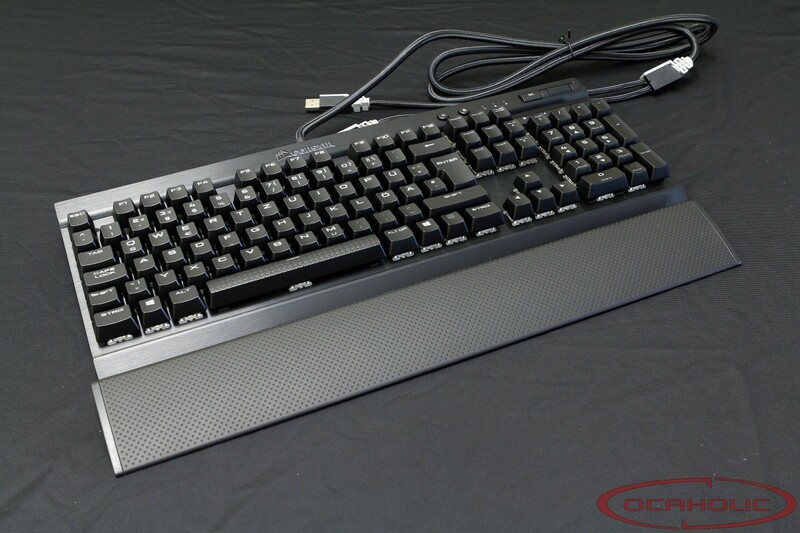 This particular model ships with Cherry MX RGB switches, which should allow for even faster typing. In the case of the sample we've decided to review the version with Cherry MX RGB Red switches.